“On one side, for 15 years, they built 37 km of highway. 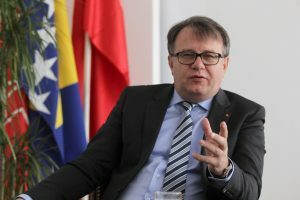 In three years we have built 65 kilometers”, said Nermin Niksic, the FBiH Prime Minister during the SDP BiH election rally in Tuzla on Sep., 12th. The highway A1 in the Vc Corridor is currently the most frequently cited project of the Government of FBiH in the 2010-2014 term. In the past four years, we have repeatedly heard that this is one of the most successful projects of this government and every finished section has been treated as an uprecedent sensation by the ruling authorities. The Minister of Transport and Communications, Damir Hadzic announced, two years ago, that official projections about new-build highways in BiH reached “staggering” 130 km by the end of the term. 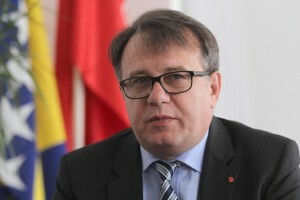 During the election campaign, besides pompous announcement of each new kilometer, representatives of parties in power – in particular the SDP – are using every possible occasion to flaunt the number of kilometers built. 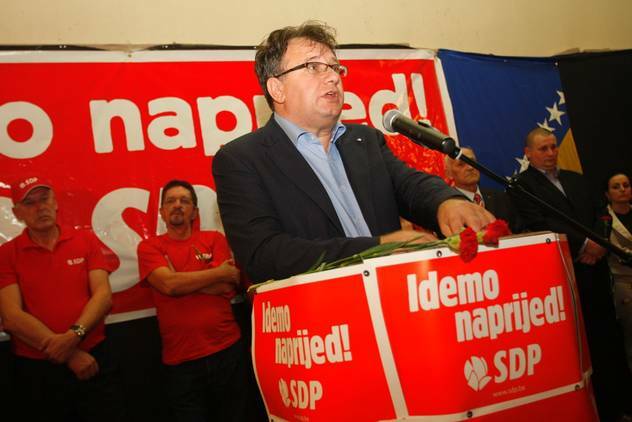 At SDP’s first election rally, held in Tuzla on Friday, Sep. 12th, the Prime Minister of FBiH, Nermin Niksic, stressed that his government has built a total of 65 km of highway in the last three years. These and other examples of using the Corridor Vc in political campaigns even prompted JP Autoceste FBiH company to urge the political parties not to use the company’s work on this highway for campaign purposes. Be it as it is, the fact remains that bragging about this highway would surely make more sense, if it was at least based on straight facts. However, if we look at all of the parts opened in the past four years, and if we add up their length, this simple calculation doesn’t correspond with what the Prime Minister Niksic says. On August 23rd, 2012 the Autoceste FBiH company has finished Kakanj – Biljesevo part, and this section’s length was 10 km. 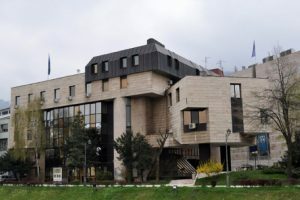 The construction began long before Niksic’s government took office, but it has been finalized and opened in this term. In late June 2013, the company finished the 5 km long part of the highway passing through Herzegovina, Bijaca – Kravica. Few days ago, on September the 16th, they opened the part of Zvirovici – Kravica, also of the length of 5 km. Thus the loop from Medjugorje to the border crossing in Bijaca amounts to a total of 10 km. In June this year, Sarajevo’s bypass was opened for traffic, in the length of 9 km. In late August this year, the Biljesevo ​​- Drivusa part was opened, including the “First of March” tunel. The length of this section is 6.5 km. Adding up all the parts opened for traffic during this term, we get a little more than 35 km of highway in total. This length is almost twice shorter than the one mentioned by Nermin Niksic. The truth is that this government has built almost as much as all previous governments combined, but the figure mentioned by the Prime Minister is definitely incorrect. The current Federal Government has started the construction of other highway sections as well, but they are still not completed and are not opened for traffic. It is a Svilaj – Odzak part of 11 kilometers, and sections being built from Vlak on the southern exit from Sarajevo, to Tarcin, in the total length of about 20 km. So the total length of sections that are currently under construction amounts to little more than 30 km. Only by adding the above mentioned parts to sections opened to traffic in this term, we get a figure mentioned by Prime Minister Niksic. From the perspective of the Minister of Transport and Communications, Damir’s Hadzic commitments of about 130 km of highway built by the end of 2014, we can easily conclude that they will likely remained unfulfilled. If from 2006 to 2010, 37 km were built, and the Vc Corridor is 35.5 km, the total length of the highway open for traffic in the Federation is 72.5 km. If we add the 26.5 km of highway in RS of Banja Luka – Gradiska, we get a bit less than 100 km of highways in BiH. Unless the remaining 30 km are finished in the next three months, this promise will not be met. What the FBiH Government also likes to highlight, is that during the highway construction in the FBiH, they have employed 5,000 workers from 90 local companies, and at least another 10,000 indirectly involved in the work related to the construction. This is also one of the main current campaign topics for the SDP. However, the number of employees in the construction industry alltogether, has been steadily decreasing in the Federation since the beginning of the term. According to the Federal Institute for Statistics, in 2010 the industry employed 26,024 people, while in May 2014, there were 20,913 employees, amounting to more than 5,000 jobs lost in the construction industry in this term. If it is true that the construction of highways engaged 5,000 people, it would mean that in all other fields of construction industry over 10,000 people lost their jobs. It is true that the highway has been growing faster in this term compared to the previous one, but fact remains that, out of the four completed sections of the highway in this term, three were opened during an election year. 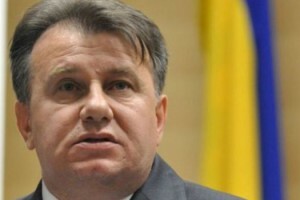 However, it is important to note that the number of Vc Corridor kilometers doesn’t correspond with the number “advertised” by the Prime Minister Niksic, and it doesn’t correspond with pre-election promises from 2010 either, since parties in power then promised a much faster paste and better end-results in terms of highway length by the end of this term.